First download and install all the Microsoft requisites above Including Windows updates. 7.1 channel sounds from 1 to 8 channels fed in and sends the new sounds locally or by remote control to BURWEN AUDIO. RE, BURWEN BOBCAT TR, BURWEN BOBCAT DX, or BURWEN AUDIO. and AMBIANCE LIBRARY.xls. All these are ready to use. 4. A Only BURWEN AUDIO.exe requires installation with the serial number you will receive within 24 hours. the instructions that appear in the installer. from your computer and returns an unseen key number that automatically enables your software indefinitely, but only on your computer. Installation finishes and you can use your new software. Your computer ID is kept confidential. 7. If activation fails, see the instructions below. from Start, Programs, Burwen Audio, Activate Burwen Audio. If the Registration Wizard displays an error message and offers Email activation, skip this and Finish. with your contact information to sales@burwenaudio.com. Burwenaudio.com will email back to you a license key (Site Key) code. 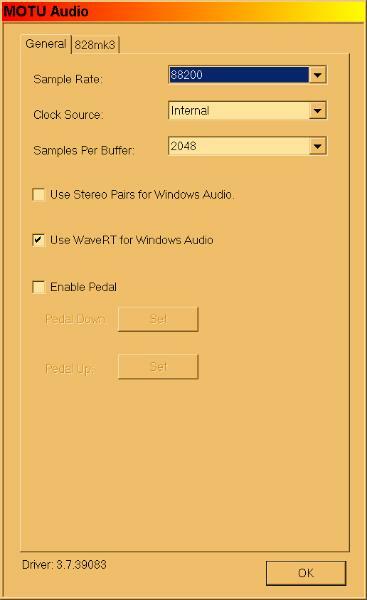 open the Burwen Audio Activation window again which offers thethree methods for activation. from the Email and paste it at the cursor. button. Press CTRL+C to copy the selected number to the clipboard, and then paste the number at the cursor in the Site Key field, using CTRL+V. AUDIO SPLENDOR which includes BURWEN AUDIO is licensed to be installed on 2 computers operated by the same person. and they must be the same version. First download the latest www.motu.com Audio Driver. Allow restart at Finish. the audio output to ground. box, when asked, select “Continue Anyway”. Go to Start, All Programs, MOTU, MOTU Audio Console and click to open. Set the options as below at 88.2 kHz Sample Rate. programs. For highest reliability do not run other programs. 1. Go to Start, Control Panel, System, Advanced, Performance, Settings, Visual Effects, and click Adjust for Best Performance. 2. From the same tab click the Advanced tab and there click Background services and System Cache. You can restart later. 3. On the Automatic Updates tab click Turn Off Automatic Updates. You can update manually when it is convenient. both the default playback and recording devices. 5. On the Sounds tab select No Sounds. CD player and Internet audio may not work at the above settings. feature of BURWEN AUDIO will provide AUDIO SPLENDOR processing for its analog inputs. 9. In all your programs that update, such as Norton Internet Security, set updates at manual instead of automatic. your Taskbar. In the next step it will be set to always show. power plug or battery, and any other items of interest to you. Click OK, then OK to close Properties. 12. Right click on the Burwen Audio icon at the right of the Taskbar and choose Exit. Media Player icon there too. 14. If either icon is not on your desktop, find the Windows Media Player at Start, All Programs, Accessories Entertainment, Widows Media Player. Right click to copy; and paste a shortcut on your desktop. 15. Excel is at Start, All programs, Microsoft Office, Microsoft Excel. 16. You can sort your desktop icons by type by right clicking on the desktop. 17. Resize the Taskbar to accommodate two or three rows of buttons by dragging its top edge. 18. Similarly make the Quick Launch area wide enough to view all its icons. Then right click in a blank area and lock the Taskbar. To open Microsoft Excel click its icon in the Quick Launch area, next to the Start button on your Taskbar. 1. Click the Office button at the upper left corner. Click Excel Options at its window bottom. 2. In the Popular window leave the default settings, select Color Scheme Black and fill in your User Name. 4. In the Save window select Save files in This Format: Excel 97 - 2003 Workbook (*.xls). Uncheck Save AutoRecover Every __ Minutes. 5. In Options, Advanced, near the bottom, set At startup, open all files in: C:\BURWEN AUDIO. 6. In Options leave everything else alone. Each worksheet in Audio Splendor sets its own critical options. Close Excel. To open the Windows Media Player, click its icon on your Taskbar. Use 24-bit Audio for Audio CDs. Click OK.
your internal 2-channel sound card, uncheck Enable Multi-Channel Output. possible quality I rip my CDs to .wma lossless files located in E:\Music on a 2.0 TB external USB drive. MP3 files are in E:\MUSIC MP3. 5. If all these folders are listed in Monitor Folders, they can be conveniently grouped by clicking on the top of a column to sort by Subtitle or Bit Rate. At other times you may want to remove all but the folder of interest in Monitor Folders, so the files will be played with the correct processing. automatically recall the system settings when you play the track. you have installed an ASIO conversion program, ASIO4ALL. 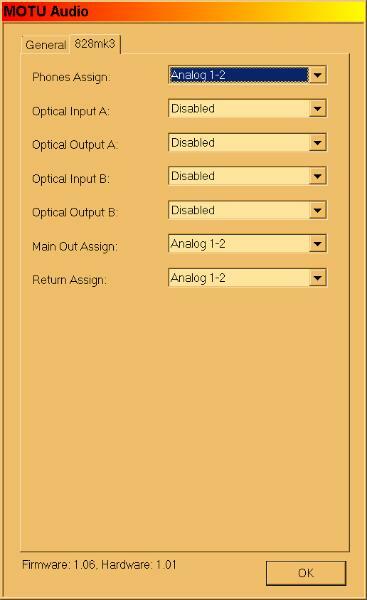 Select ASIO4ALL for your Capture Device and channels 1 and 2 for Input and Output. purpose the firewall on the main computer has to allow opening certain ports to allow reception over the network. Local Ports type 8088, 8089, 8090. Click Next, Next, unclick Public, Finish. paste) the four .xls files and BURWEN AUDIO.exe into C:\BURWEN AUDIO.